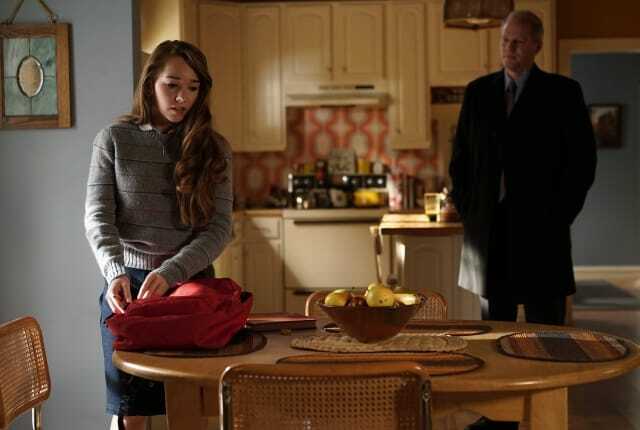 Watch The Americans Season 4 Episode 4 online via TV Fanatic with over 7 options to watch the The Americans S4E4 full episode. Affiliates with free and paid streaming include Amazon, iTunes, Vudu, YouTube Purchase, Google Play, Amazon Prime, and Verizon On Demand. On The Americans Season 4 Episode 4, a devastating flaw during a mission forces Philip, Elizabeth, William, and Gabriel to confront the depths of their patriotism… and their mortality. In Russia, in striving to be a better person, has Nina put her life on the line? Elizabeth: What does EST say about death? Philip: I don't know. It never came up. Elizabeth: Gabriel said that our people were with my mother when she died and she wanted me to know she loved me. Paige knows we love her, right? Elizabeth: What can we do? William: If we believed in God, I'd say pray. Permalink: If we believed in God, I'd say pray.